“Long Black Road” was the perfect background song choice to illustrate the adventure these Supernatural characters have been on so far. They have survived death and torture, possession and manipulation, but they have all lived to see another day. It’s always a perilous journey, though, and the adventure is far from over. We started off by jumping right into the torture, this time upon Crowley. His nightmare of death at the hands of his minions was a bit reminiscent of another great leader, but this time around the disturbing imagery was a result of dear old mom. I’m glad to see that Crowley doesn’t immediately trust Rowena, though it seemed like he was moving in that direction prior to hiatus. There are many pitfalls that Crowley is going to have to avoid if he hopes to stay a step ahead of his mother. She is manipulative and out for her own gains. Like mother, like son, right? In fact, that’s why I love her character, even when she’s screwing over Crowley or trying to potentially destroy the Winchesters. Rowena knows how to play the game to her advantage. That’s why I’m fearful of what’s to come, should she more fully insert herself into the Mark of Cain storyline. Maybe she’ll throw Sam and Dean’s mission off-track, or maybe Crowley will be forced to finally kill her. Whatever happens, though, I’m sure I’ll enjoy the ups and downs she may take. It’s good to be the king, and the king’s mother. On the opposite side of the love spectrum, we have Cas and Claire. I’m trying hard to give Cas the benefit of the doubt and see him as a contributing member of the overall storyline, but so far he’s failing me. And then his daughter is not helping matters much, considering she spent most of the episode rebuffing his attempts for some father-daughter bonding. I liked Claire when she was small, and I certainly can see how the events in her life could have made her turn out the way she did, but I was glad to see her go. She’s going to make her own way, but with the relationship between her and Cas repaired a bit. And, hey, she didn’t let Dean get killed, so I guess it’s a win-win all around. 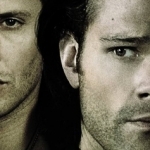 But the thrust of the episode, and honestly what I care most about, was centered on the Winchesters. The thing I like most about where they are now is that their relationship is stronger. 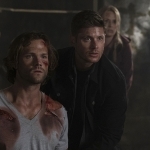 Yes, Dean’s turning into a psycho killer and Sam’s still got the whole “been possessed, killed Kevin” thing to remember, but they don’t hate or mistrust each other. That’s important. 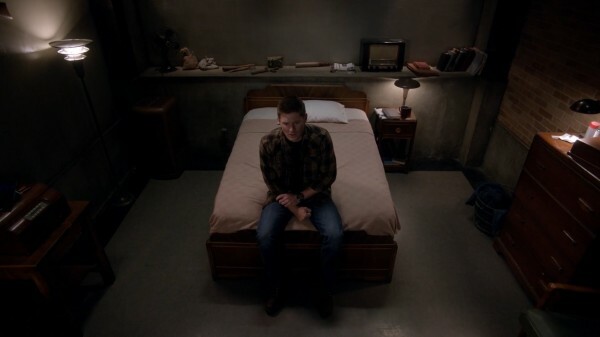 Sam’s supporting his brother through all the bloodbaths and dark journeys that Dean is making more frequently lately. And he’s going to find a solution to this even if it kills him. Please let’s not let that happen. 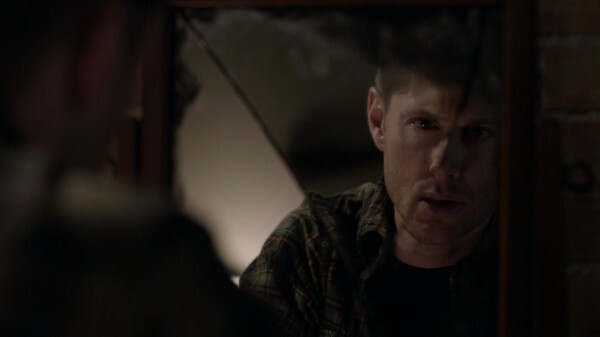 I’m loving seeing the angst that Dean’s going through as a result of the Mark. He’s done some very bad things, and those memories are going to stick with him, but he knows he can’t go on like he has been. But my question, and one that’s been in my head since Dean turned back from Demon!Dean, is why aren’t they going to Cain about this? He controlled the Mark before, he can help Dean either control it or get rid of it. I mean, even Metatron is giving them a big clue as to this is where they should be looking. “The river ends at the source.” Go find Cain, before it’s too late. So, where is this all going to end? Will Dean escape his dark ways? Probably, but there is likely to be a lot more blood spilled in the process. Can Crowley come out of his mother-son bonding experiences without going crazy? Well, it’s going to be difficult, but I have hope for the King of Hell. And will Cas ever integrate himself enough into the storyline to make him engaging again? I await the answer. Come on, everyone, we’ve got a long ways to go and not much hope in getting there. It’s the Supernatural way.